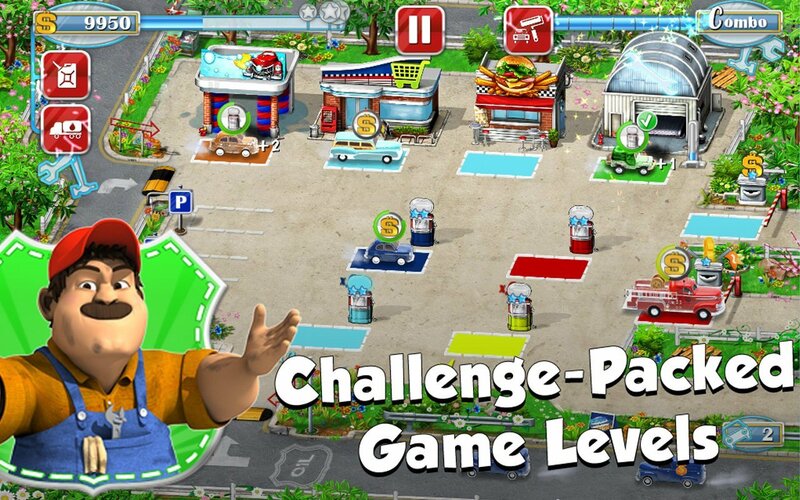 Take over a gas station in this time-management game. Top community discussions about Gas Station - Rush Hour! Is there a better alternative to Gas Station - Rush Hour!? Is Gas Station - Rush Hour! really the best app in Strategy and War category? Will Gas Station - Rush Hour! work good on macOS 10.13.4? What's New in Gas Station - Rush Hour! Note: 3.5.7f6 is the version number reported in Finder; it is a reflection of the app's Unity Player runtime version. The developer refers to this version of the app as 1.0. Requirements for Gas Station - Rush Hour! Gas Station - Rush Hour! needs a review. Be the first to review this app and get the discussion started! Gas Station - Rush Hour! needs a rating. Be the first to rate this app and get the discussion started! In , your Uncle Tony needs you now more than ever! He's just spent all his savings on his lifetime dream: running his own gas station! Serve the most hurried customers as quickly as you can. As the saying goes, time is money! 'Gas Station - Rush Hour!' is a fast-paced time-management game in which you will have to demonstrate speed and intelligence to serve your customers in record time. The faster you are, the more satisfied your customers will be, and the bigger your tips will be. Be careful not to fall behind! Tardiness means lower earnings. Have fun building up combos by serving the same colored cars and increase your earnings more quickly in doing so. Spend the fortunes amassed during your adventure on improving your station and making it more attractive, allowing you to serve more customers. The family business's success and longevity depends on it. Act quickly and effectively, for the clock is ticking and you have a lot of customers counting on you!